With Spaze Palazo, we have set new trends in the commercial establishment space. Located on the southern peripheral road, Palazo is a state of the art and well integrated commercial complex where business meets recreation. Palazo inventively combines retail and recreation with commercial space,providing retail shop owners, offices and other businesses with the much desired opportunity to thrive and cater to the growing demands of the nearby population. Palazo is an ultra-modern business center featuring multi-cuisine restaurants, offices and other outlets, all under one roof. 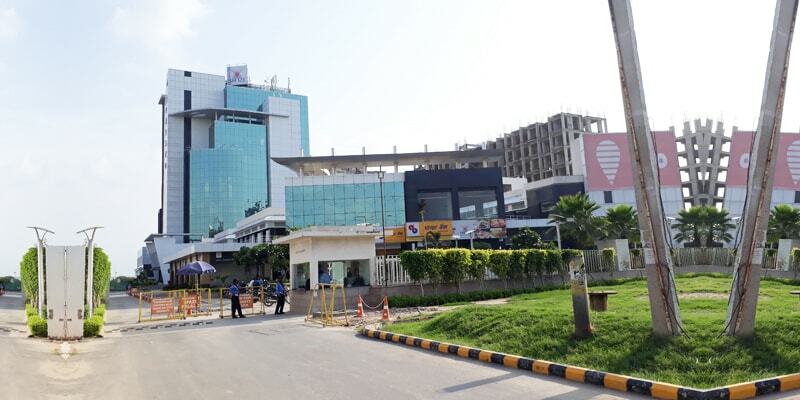 Palazo has been strategically located in the upmarket area of the Southern Peripheral Road, which is essentially a 150 meter wide road that forms a part of New Gurgaon. The commercial complex draws the attention of many end-users and investors, which is precisely why it is expected to fetch a great deal of appreciation in the years to come. Level 2-12 at Spaze Palazo will comprise of plush offices, while Level 0-1 will be house retail and entertainment outlets. Landscaped by leading international consultants, the commercial complex also features multi-level parking and world-class facilities.